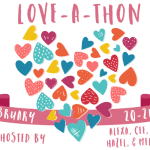 For the second mini challenge for the 2016 Love-a-Thon, my awesome co-host, Mel of The Daily Prophecy, will be leading the challenge. We’re playing BINGO! 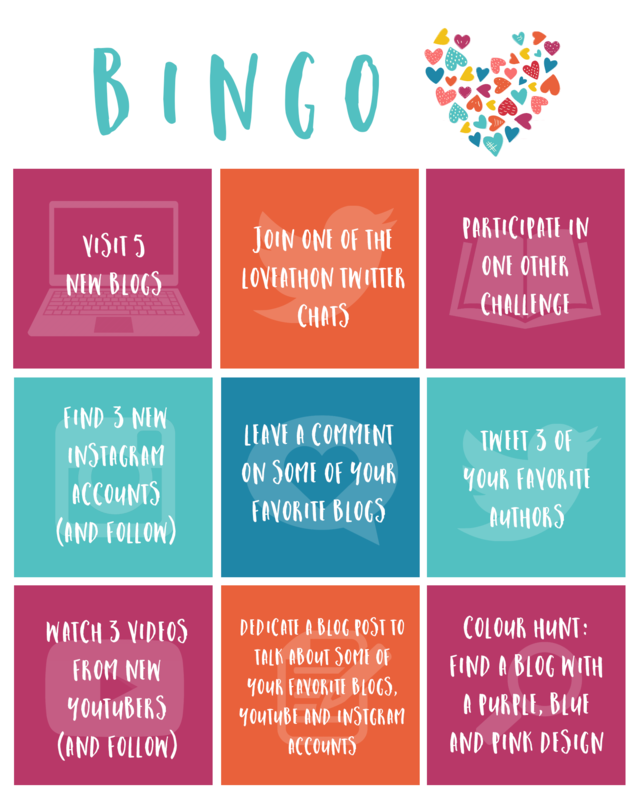 The goal is to see how many bingo squares you can cross off of our official Love-a-Thon bingo card! 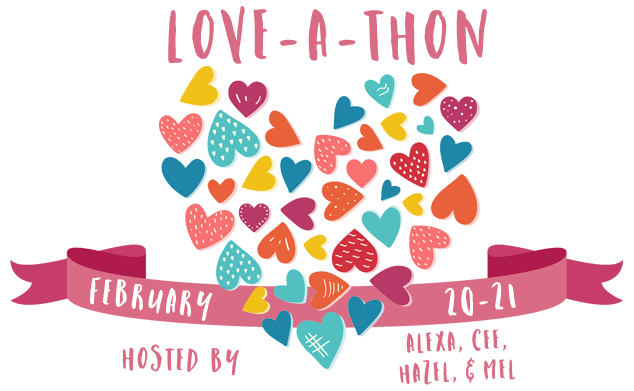 We’ll have various tasks to tackle during the Love-a-Thon, and the challenging is to make them all happen before the event is over. Progress: 7 out of 9 tasks! 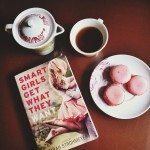 Shouted all my love for these kickass authors during Twitter chat! 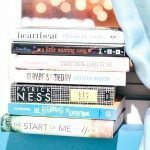 If you want to be entered in the giveaway for this challenge, you have to link up at The Daily Prophecy. Please link to a post/tweet/photo showing us your progress with the bingo card! The bingo card is such a neat idea, I love it!